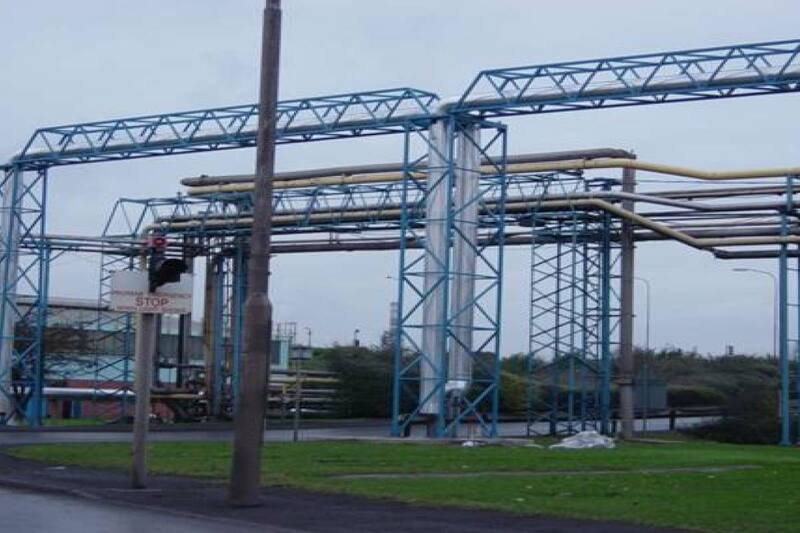 Corus Aldwarke, contract completed for the fabrication and installation of a new 250mm NB steam main and bridge to supply steam to a new Vacuum Furnace Facility. Approx 300 metres of pipework were installed mostly at a height of 10 metres all across the main site roads and entrance to the Melting Shop. With careful design and planning the bridge was built in modular format keeping disruption of site operations and loss of production to an absolute minimum. 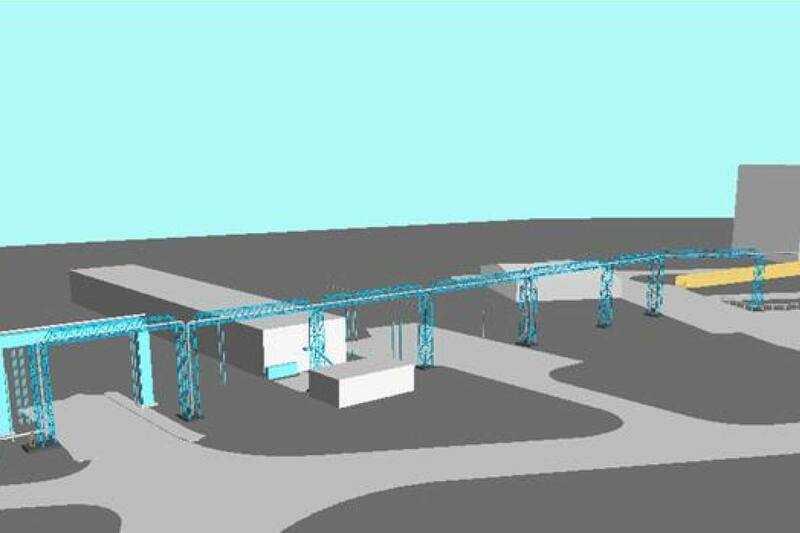 The Bridge was modelled in 3D and then fabricated from drawings produced from the model. The bridge was fabricated in 15 modular sections up to 17 metres long comprising of booms and towers primarily constructed from square hollow section of varying sizes. The work was completed in Alpha Plus workshops with the 250nb Steam main fabricated / welded and installed onto the bridge sections. NDT testing, Insulation and variable spring pipe supports were again installed in our workshops as far as possible before transporting to site. Sections of the completed bridge were delivered to site and installed with field welds being completed between the sections of bridge.